Some relationships are mutual, and some are… parasitic. Tocata is the story of a woman navigating the boundaries between her body and a pair of unlikely intruders. The documentary was originally made for Between the Essays, which is a Falling Tree Production for BBC Radio 3. The producers would like to extend special thanks to Eleanor McDowall, Alan Hall and Jane Lewis. 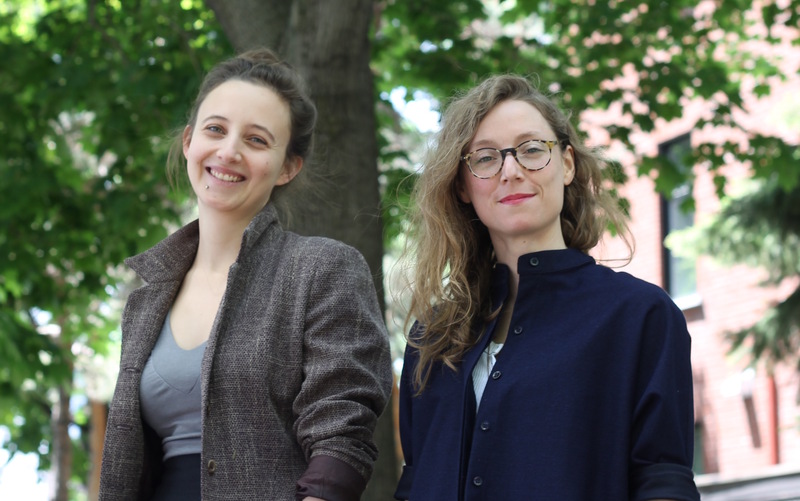 Mira Burt-Wintonick and Cristal Duhaime are award-winning audio producers who have worked in public radio for over a decade. Most recently, they created and produced CBC’s Love Me, a podcast about the messiness of human connection, and Pen Pals, a fiction series for Stitcher Premium. Previously, they produced Jonathan Goldstein’sWireTap, for which the team won the 2015 Prix Italia for Best Radio Drama. Their work has been featured on This American Life, Snap Judgment and The Truth, among others. This audio documentary is a Community Service Learning project by Nicosia Miller and Meagan Miller. It covers the life and experiences of Tainos abroad, as well as the reclamation and revitalization of Taino culture in the U.S. and the Caribbean. Meagan and Nicosia Miller are students at the University of Alberta. Meagan Miller is in her fourth year of Honours Spanish and Latin American Studies. She is interested in the stories of indigenous peoples across the Americas and exploring the more difficult truths of Colonialism. She was particularly invested in hearing about Taíno experiences of reclamation and revitalization since the academy often treats Taíno populations as extinct and relegated to the past (as with many indigenous populations here in Canada). Nicosia is a second year student majoring in Latin American Studies and Psychology. Nicosia was interested in doing a documentary about the indigenous people of the Caribbean as she is from an island that the Taíno originally inhabited. Aside from the image of the Taíno on Jamaica’s national emblem, they are seldom represented or spoken about, which ignited her interest in learning more about the experience of indigenous Caribbeans. Dennis Johnston cooking pad thai at the Historic Brewers’ Market in Downtown Halifax. It wasn’t too long ago that Halifax was just a port city with one or two high-end restaurants and plenty of diners that served fish and chips. But things changed 15 years ago with one chef who pioneered the local food movement in Halifax. This documentary was originally for a Master of Journalism, with special thanks to Kim Kierans and Mark Pineo. Francella Fiallos is the Programming and Development Director for CKDU 88.1 FM, the campus radio station for Dalhousie University. She has a Bachelor of Journalism from Carleton University and is currently completing her Master in Journalism at the University of King’s College. She edits a radio show and podcast about indigenous affairs in Atlantic Canada called Kukukwes. In June, she was selected to participate in the Full Spectrum Storytelling Intensive held by the Association of Independents in Radio (AIR). Her work has been featured on CBC, AMARC, rabble.ca, The Coast, and Halifax Examiner. She is also a Polaris Music Prize juror.